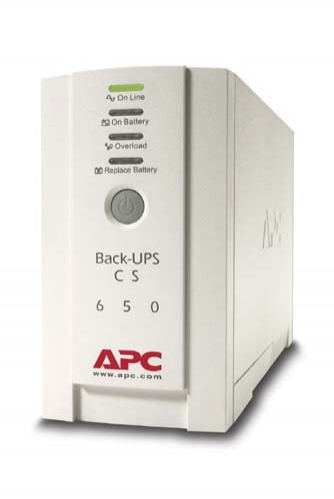 This unit provides up to 65 minutes of battery backup for your desktop, monitor, and hub or router in the event of power failure and offers surge protection for another non-data peripheral such as a printer or scanner. - High-speed Internet Surge Protection - phone/fax/modem, DSL compatible! - 4 Power Outlets - 3 battery backup plus surge, 1 surge only. - 650VA (400 Watts) - Enough to run powerful systems, larger monitors or multiple peripherals. - USB Connectivity - Windows 98/Me/XP/2000 and Mac OS X. - File-saving, auto-shutdown software included. - "Designed for WindowsME, 2000, XP" logo - ensures full compatibility with Microsoft operating systems. 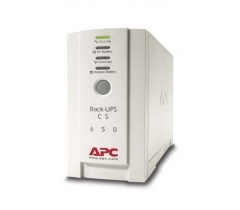 K produktu APC Back-UPS CS 650EI (400W) nebyl prozatím vložen žádný komentář.